Everyone has a favorite item...that item that can take you from the day at the beach, and transition into Fall. 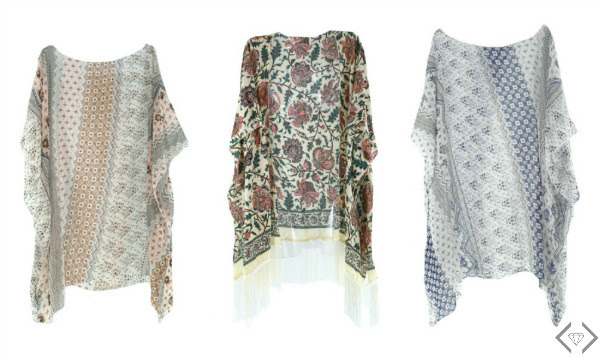 This weekend, we are going to focus on one of the trendiest items that will do just that - our kimonos. These kimonos will be absolutely perfect as a beach coverup, they are great with your favorite cut offs at a Summer concert, and they transition perfectly into the Fall with jeans and a tee. In addition, they sell amazingly and our last kimono feature was a smashing success. You don't want to miss this weekend! 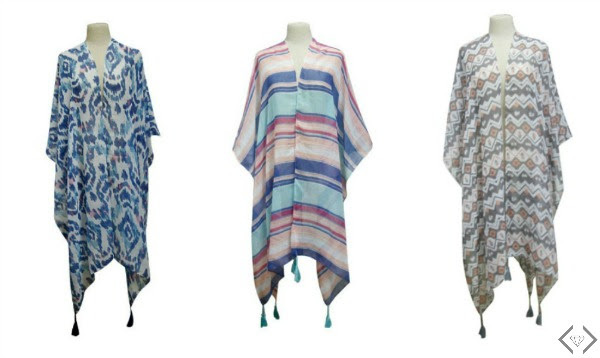 Fashion Friday - 7/8/16 - Kimonos starting at $12.95 + FREE SHIPPING w/code BEACHCOVER.